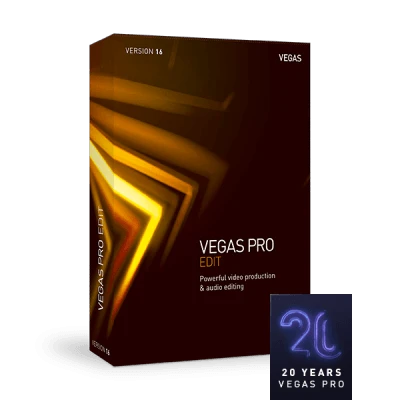 For 20 years, VEGAS Pro has stood for fast, powerful, flexible video production. The new version comes loaded with powerful new video editing features to help you work faster, smarter, and more creatively. It delivers on every level, with more flexibility, more power, and more professional features. With full support for High Dynamic Range (HDR) color now included with VEGAS Pro 16, you can work with footage from the latest cameras, preview your work on an HDR reference monitor and deliver stunning-quality HDR work. In the popular Tiny Planet effect, a subject appears to be standing on a super-small planet. The VEGAS Pro Tiny Planet OFX plug-in is the most elegant solution to create this effect instantly and includes effect animation and integration with regular or 360º videos. VEGAS Pro 16 includes the high-quality Essential eFX audio plug-in suite. A flexible set of tools for shaping and mastering audio, it includes plug-ins for improving the quality of your soundtrack, reducing noise, or adding special effects like delay, reverb, chorus, and much more. Add another level of excitement to your video creations. 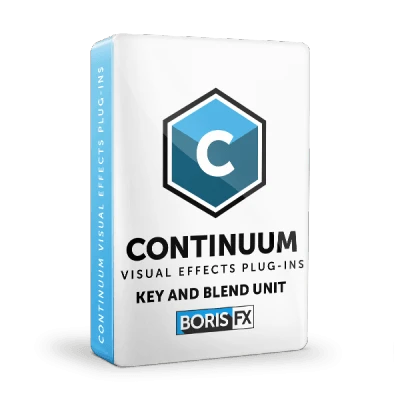 With spectacular lighting effects (worth $195) from the leading developer BorisFX you can recreate the kinds of lighting effects used in many recent Hollywood blockbuster films. Create everything from more subtile light leak and cloud effects to dramatic 3D lens flare and sci-fi laser effects. Enjoy 100 effects from proDAD VitaScene LE (worth $199). A high-quality plug-in featuring many keyframeable effects and transitions. These include light and mood filters and paint effects to turn your films into a high-contrast "watercolor" paintings or drawings. There are also restorative plug-ins to help you salvage old or corrupt video and more creative tools such as the popular tilt-shift "mini city" effect. VEGAS DVD Architect allows you to create DVD and Blu-ray discs with professional authoring functions. The intuitive drag-and-drop interface, compact layout, and comprehensive authoring tools make producing menu-based Blu-ray and DVD projects easy. 700 effects from proDAD VitaScene. The full version of proDAD's (worth $599) incredible suite includes around 700 effects ready to use for a huge number of purposes: from restoring video to spectacular visuals. You get light and mood filters, paint effects, and incredible movie effects, light rays, glows, glimmers, and glitters. All are available as transition effects and video filters for your video material, texts, and graphics. Ignite Pro includes 180 plug-ins to help you create just about every video effect imaginable: from color correction and video clean-up to special effect generation (lasers, clouds, and so on), grunge effects, and spectacular warp-style effects. It is the hassle-free solution to creating incredible professional effects (worth $200). The full lighting suite from BorisFX Sapphire 11 Lighting Unit (worth $595). This suite of pro effects will take your video productions to other worlds and dimensions, with spectacular natural and synthetic lighting effects. Create everything from the 3D lens flare used in Hollywood movies to more subtle glows, glints, and glares. Sapphire 11 also includes integrated Mocha tracking and masking, professional keying, and particle effects to help add another level of sparkle to your creations. Create professional DVDs and Blu-rays with VEGAS DVD Architect. It allows you to create DVD and Blu-ray discs with professional authoring functions. The intuitive drag-and-drop interface, compact layout, and comprehensive authoring tools make producing menu-based Blu-ray and DVD projects easy.